We’ve designed Agree.com to be simple and easy for you and your clients. To help get you started we’ve made a quick walkthrough video. In it you’ll learn how to create and send a contract in just a few minutes and then can also view some Quick Tips below to get started. If you have any questions, check out our FAQ or visit our Contact Us page. Getting started with a free account is as simple as entering in your email address. 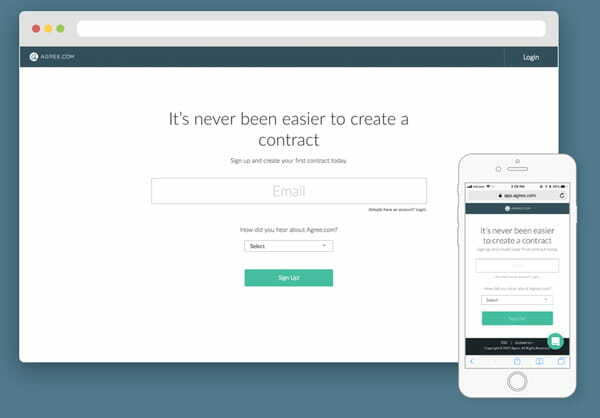 You’ll immediately be able to access your Agree.com Dashboard to create your first contract. You can also try it out on any desktop or mobile device. Once you get to your Dashboard, all you have to do is hit the big green button to create your first contract. If you don't need to send out a real contract right away, feel free to create a test contract. You can even sign it yourself to see how smooth the experience is for your clients. 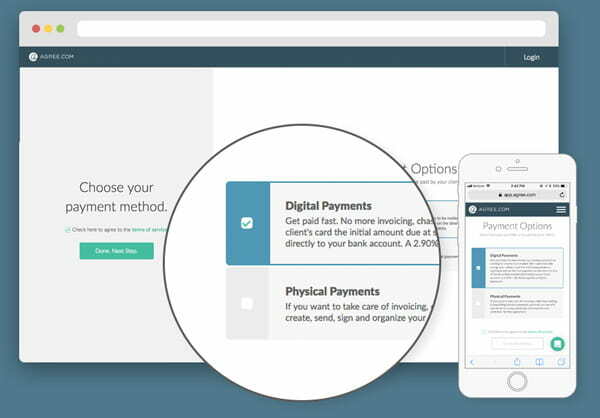 It’s never been easier to accept payments from your clients. 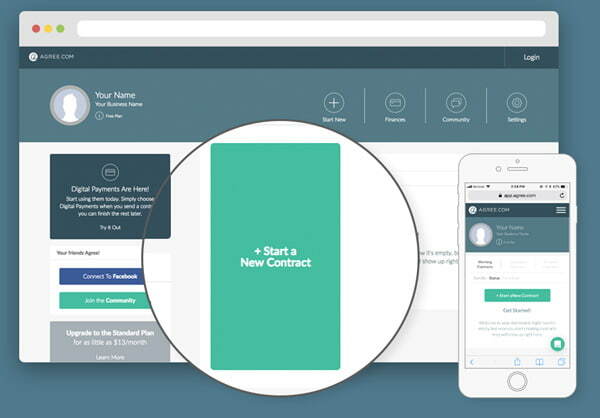 While creating a contract, you can simply request that your client’s pay you Digitally. Your clients will then be prompted to enter their credit card information when they sign and our WePay payment system, a certified Level 1 PCI Compliant system (the highest level), will take care of the rest. No more needing to chase down payments or deposit checks! Our free iOS app is available from the Apple App Store. It’s the easiest way to receive instant notifications for when your client’s first view, sign, or make a payment on your contracts. Imagine the freedom of not having to wonder if a client has looked at your contract, or even received it. 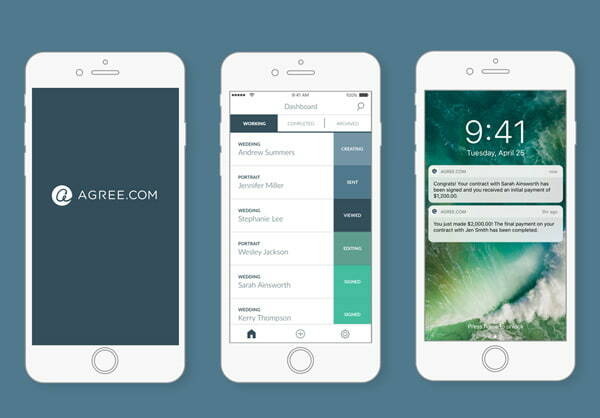 Agree will keep you up to date every step of the way. Our iOS app also allows you to see all your contracts, have easy access to your clients and all their information, and jump out to your browser to create a contract on-the-go.